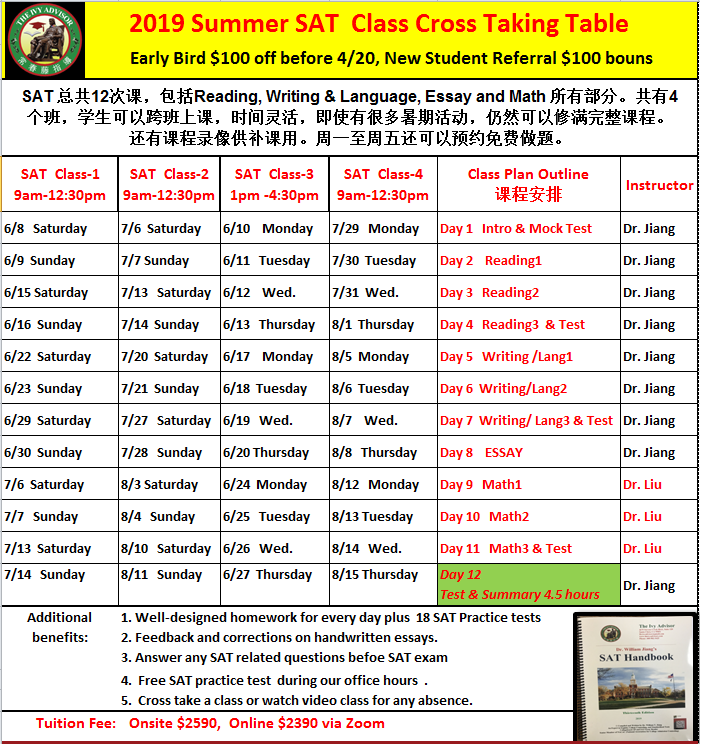 Below is our Summer SAT Test Preparation Cross Taking Table. It is strategically designed to provide alternate time options that may fit students' busy schedules better. Dr. Jiang complied SAT handbook to drive the class forward with important strategies, to understand the test inside and out, and to ensure that students earn the highest score possible on the SAT Exam. 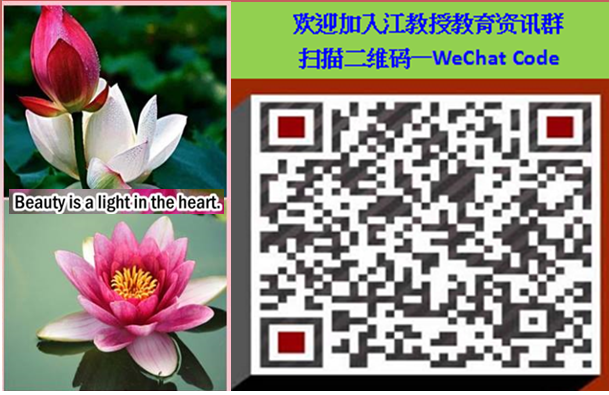 Additionally, you will receive a detailed class syllabus after registering either online, over the phone, or in person. If you have not registered yet, please hurry and catch our $100 Early Bird Discount before 4/20.